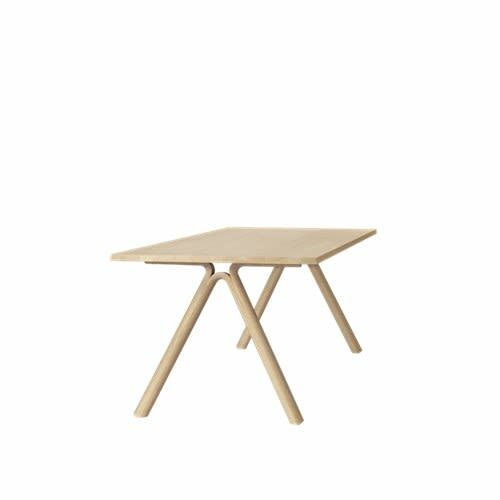 The SPLIT table derives its name from its unique feature of split and bent legs. An excellent example of Scandinavian design tradition, SPLIT combines a seemingly solid structure with a light and delicately balanced base. Ideal both for private and professional use. Clean often and carefully with a soft and dry cloth following the grain pattern. Periodically, clean with moist cloth. For long term care, it is recommended that the table top is treated 2-3 times a year with special oak wood oil that assists with making the wood resistant to stains and fluids. The wood should not be subject to excessive humidity, heat or direct sun light. STAFFAN HOLM is a Swedish designer based in Gothenburg, Sweden, working with interior architecture, industrial design and furniture design. His work has a strong focus on quality and craftsmanship combined with a human aspect. His designs have won several prestigious design awards around Scandinavia.